What a great morning we had visiting Rollingstone Primary School. The school has 70 students prep to year 7, in three classrooms. The first group, years 1,2,3 were well prepared for us and presented us with many cards of thanks. “Our whole class wants to support you. Go from Layla”. 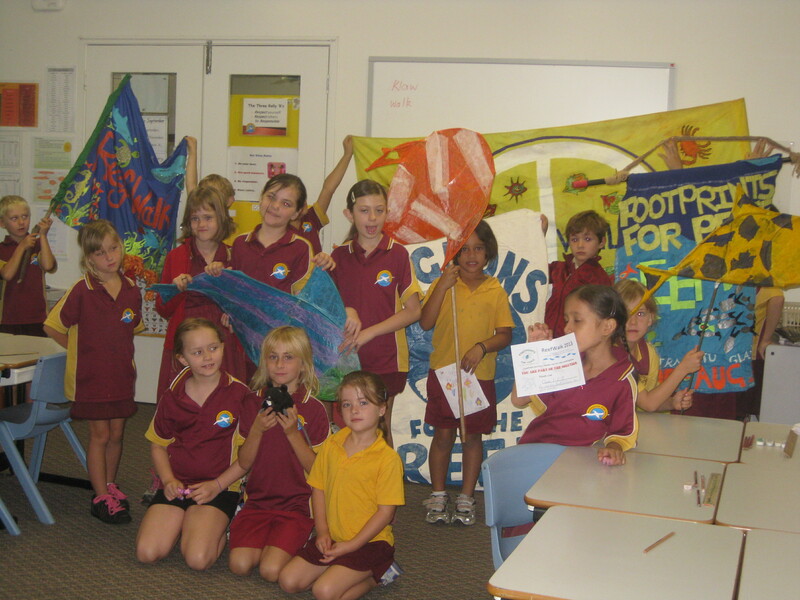 “Thank you for respect the GBR from Jaiden and lots more”. 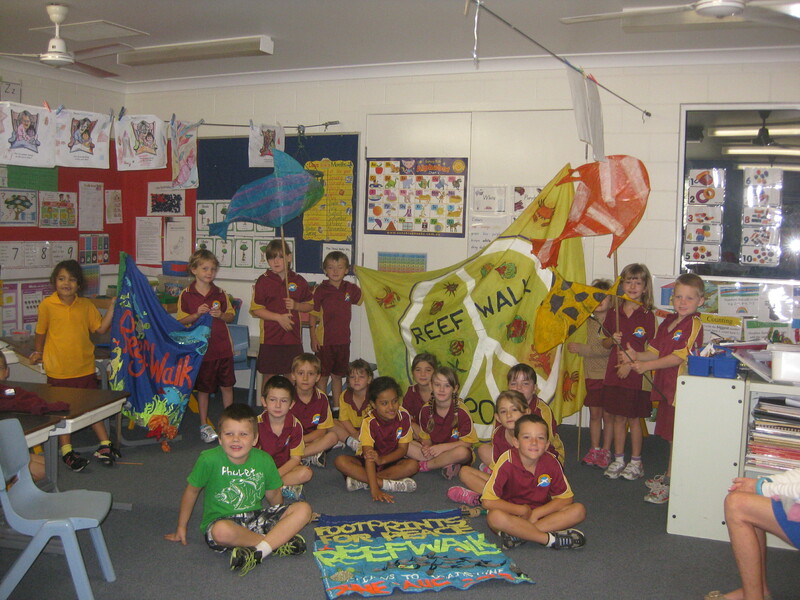 Thank you from the Walkers class 1,2,3 for your cards.Prep and 1 were all very excited about the fish made by students a Yungaburra School and enjoyed having their photo taken with them, Class 4,5,6,7 showed great interest in the Too Precious to Lose video and had many ideas about how children could help save the reef by picking up rubbish and talking to people. Sounds like a great and rewarding visit. Now looking forward to you arriving in Townsville as I believe the ABC will be ready for you. Certainly hope so. I recommend a soak in soda crystals if the feet need a bit of TLC. Good luck and happy walking. This is spot on for getting the message out to the children whose lives will be changed by extreme weather events in the future or sooner. 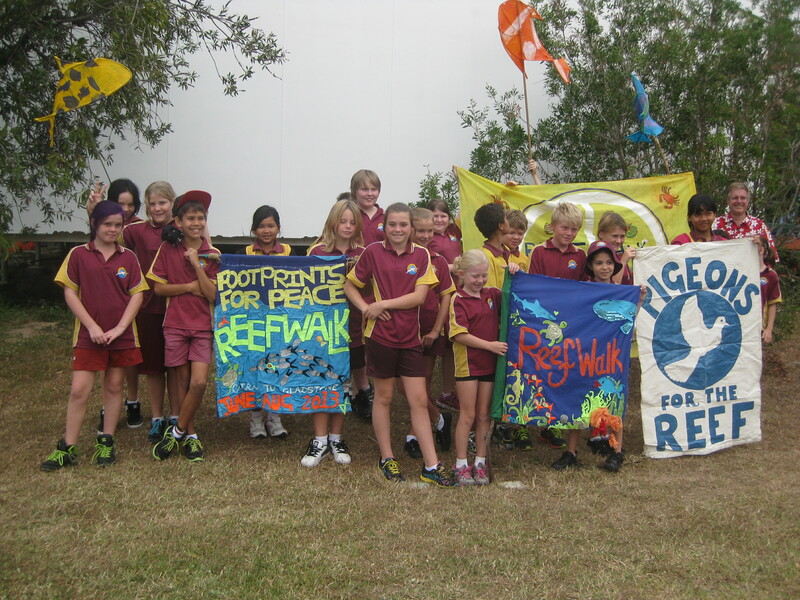 well done to all of you and a big round of applause to the school for hosting ReefWalk2013.